A vast expanse of temperate and forested wilderness is represented in our new Northwoods collection. 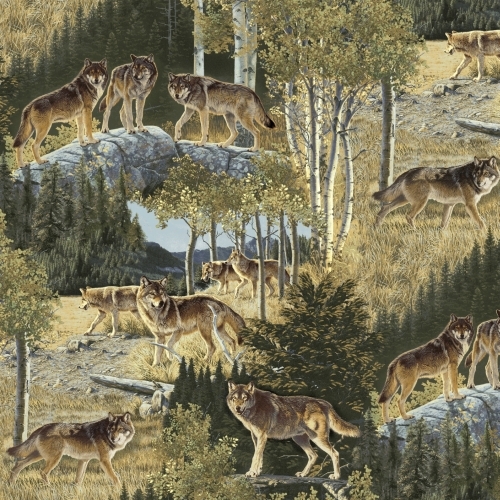 Sprawling scenes of realistic forest, woods, lakes, birch trees, eagles, and wolves encompass this majestic patchwork that has been part of the American landscape for many years. Please pay attention to the tonal blenders (pattern 37111 and 37112) that act as perfect compliments to the other patterns that help celebrate the American outdoors. Delivery begins October 2013.